An updated, repackaged edition of the bestselling divination tool and party favorite - ask a yes or no question, open the book, and discover your answer in the form of quotations from the world's most iconic films. Still looking for a way to know what tomorrow will bring? Here's where you'll find the answers that only Hollywood could provide. A party favorite, this fun, weirdly wise little book is for you. 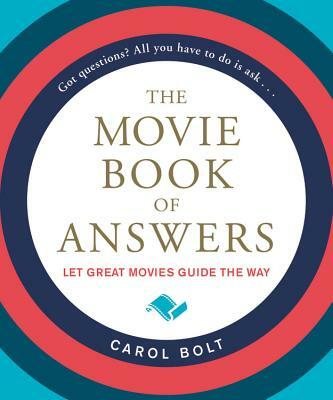 The Movie Book of Answers contains answers from over 150 films, including advice from classics such as Casablanca ("Maybe not today. Maybe not tomorrow, but soon. "), and pithy gems from modern blockbusters like Fargo ("You're darned tootin'!"). So what are you waiting for?... Go ahead-ask your question. Carol Bolt is a professional artist living in Seattle.